A bill designed to protect western Hays County residents' water wells in light of a massive groundwater pumping project is headed to Gov. Greg Abbott's desk — following an emotional week of political drama over the issue. A bill designed to protect western Hays County residents' water wells in light of a massive groundwater pumping project is headed to Gov. Greg Abbott's desk — following an emotional week of political drama over an issue once considered local and relatively uncontroversial. House Bill 3405, by state Rep. Jason Isaac, R-Dripping Springs, was thought to be dead this week, after a "point of order" by Rep. Mary González, D-El Paso, targeting the legislation was sustained. But in a stunning reversal on Thursday night, the House granted a last-minute reprieve when the parliamentarian announced he had made an error in legal reasoning when he upheld González's action. With the point of order ruling reversed, HB 3405 was allowed to go to a conference committee of senators and House members. The Senate approved the updated proposal Saturday with a 28-3 vote. On Sunday, the House approved HB 3405 with a vote of 143-1. "It's just a huge victory for Hays County," Isaac said shortly after the vote. "I'm kind of in shock a little bit. ... It'll be great for Hays County and great for protecting our natural resources." HB 3405 would expand the jurisdiction of the Barton Springs/Edwards Aquifer Groundwater Conservation District to include water wellfields owned by Houston-based company Electro Purification. The company plans to pump up to 5 million gallons of water daily from the Trinity Aquifer in Hays County — an unprecedented amount for the already parched area — and sell it to some of Austin's fastest-growing Hill Country suburbs. With the land not currently in a conservation district, the company's project would happen with virtually no oversight. If HB 3405 passes, Electro Purification would have to report to the Barton Springs/Edwards Aquifer district how much water it withdraws from the Trinity Aquifer and potentially be subject to pumping limits. The company's lawyer, Ed McCarthy, did not return a phone call seeking comment. It's the only legislation in a volley of bills aimed at Electro Purification that survived the session, and was expected to be the least controversial. No one testified against the bill when it was taken up by the Senate's Agriculture, Water and Rural Affairs Committee. Both Electro Purification and a city councilman from Buda, which aims to buy some of its water, told lawmakers they supported it. But in an interview Thursday, González told the Tribune she was concerned the bill "set a really bad precedent and could harm local communities." She said Buda residents along with "multiple other stakeholders" contacted her with concerns. After the vote Sunday, Buda Mayor Todd Ruge said in a statement: "We pray that under HB 3405, the Barton Springs Edwards Aquifer Conservation District will uphold the constitutional property owner and existing contract water rights of our citizens. Without the immediate delivery of water through our current contract, our city, which is one of the fastest growing in the country, will suffer a water shortage in the near future." González's point of order angered residents of Hays County, as well as Isaac and state Sen. Donna Campbell, R-New Braunfels, who sponsored the legislation in the Senate. "It is a very disappointing development to have a lawmaker from El Paso — hundreds of miles away from my district — insert themselves into a local bill against the will of the people and against the elected officials who represent them," Campbell told the Tribune in a statement Thursday. On Sunday, González voted in favor of the bill. "I'm happy for Jason Isaac. I know it was important to him," she said in a brief interview on the House floor after the vote. "I still have my same concerns, but I'm happy for him." The legislative tussle also caught the attention of Lt. Gov Dan Patrick, who was in Hays County on Thursday touring the devastation wrought in the community by last week's flooding. There, local officials appealed to him for help moving the bill forward. 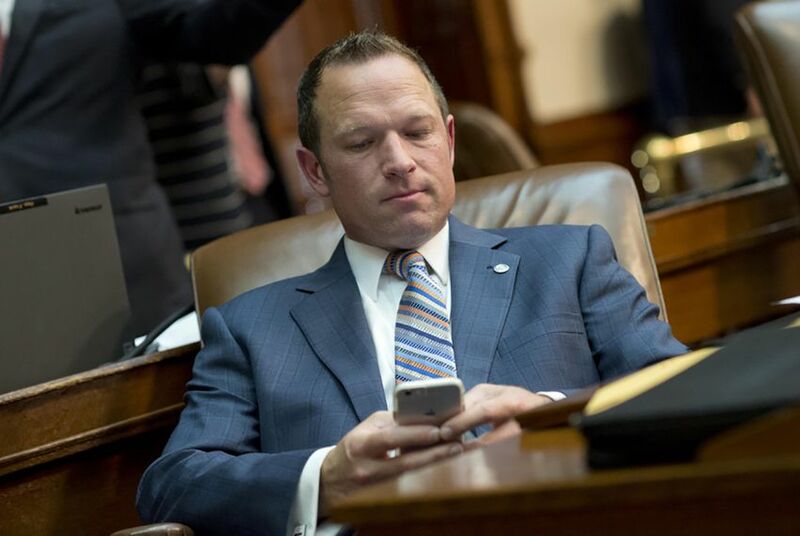 "I am grateful that the House reversed the [point of order on HB 3405] because it is the number one legislative issue for Hays County," Patrick said in a statement Friday. "After visiting Wimberley to survey the flood damage, I believe this bill is even more critical." There's no guarantee HB 3405 would stop or even curtail Electro Purification's project. The company is drilling test wells right now to determine how much water it can pump. Once it starts producing water to sell, no district can retroactively cancel its ability to do so. In addition, if the Barton Springs/Edwards Aquifer Conservation District does impose limits on the company's pumping, it's likely to end up in court, where it is by no means guaranteed to win. Jay Root and John Reynolds contributed reporting.